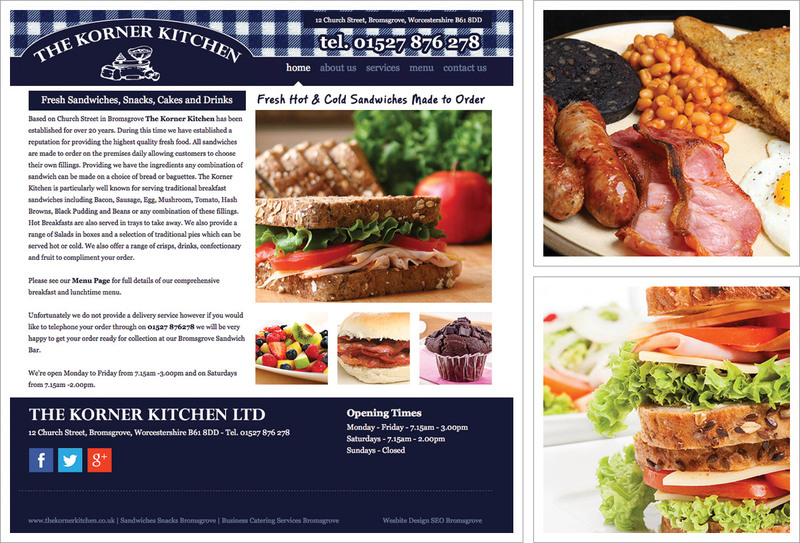 The Korner Kitchen in Bromsgrove placed their order for a simple yet effective website to show their customers and prospective customers exactly what they have on the menu for them. The website includes Home, About, Services, Menu and Contact Us which features a secure online contact form. A fading image banner shows off mouthwatering examples of popular menu items which will get your tummy rumbling. Basic on-page search engine optimisation, clear call to action and a nice traditional yet fresh catering feel to the branding style. Read more about The Korner Kitchen on our Bromsgrove Web Design Blog.